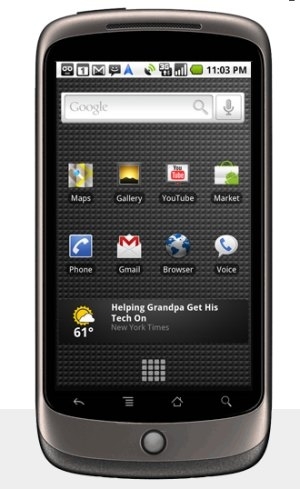 Nexus One gets its first update | Android Blast! Google is issuing the first over the air update to its Nexus One phone. Users will receive a message on their phone's notification bar and will be able to download the update. 3G connectivity: we will provide a general fix to help improve 3G connectivity on some Nexus One phones. In order to access the update, you will receive a message on your phone's notification bar. Just download the update, wait for it to install, and you should be all set. This update will be rolled out gradually to phones - and most users might not receive the notification until the end of the week. We hope you enjoy these new features and look forward to your feedback."